Extensively revised, the fourth edition of this highly successful book takes into account the many newly determined protein structures that provide molecular insight into chemiosmotic energy transduction, as well as reviewing the explosive advances in 'mitochondrial physiology'-the role of the mitochondria in the life and death of the cell. Chapters are now divided between three interlocking sections: basic principles, structures and mechanisms, and mitochondrial physiology. 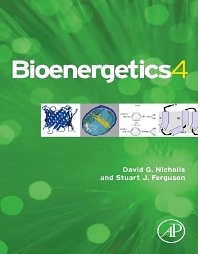 Covers new advances in the structure and mechanism of key bioenergetic proteins, including complex I of the respiratory chain and transport proteins. Details cellular bioenergetics, mitochondrial cell biology and signal transduction, and the roles of mitochondria in physiology, disease and aging. Offers readers clear, visual representation of structural concepts through full colour figures throughout the book. Undergraduates, graduates, postgraduates, and researchers working in biochemistry and the biological sciences. 5.5 Proton Translocation by the Respiratory Chain: Loops, Conformational Pumps, or Both?